When I have to learn a new subject I google for experts opinions and suggestions to find the best starting point. The process is pretty straightforward: Go through many reviews before making a decision to invest time and money into a book. 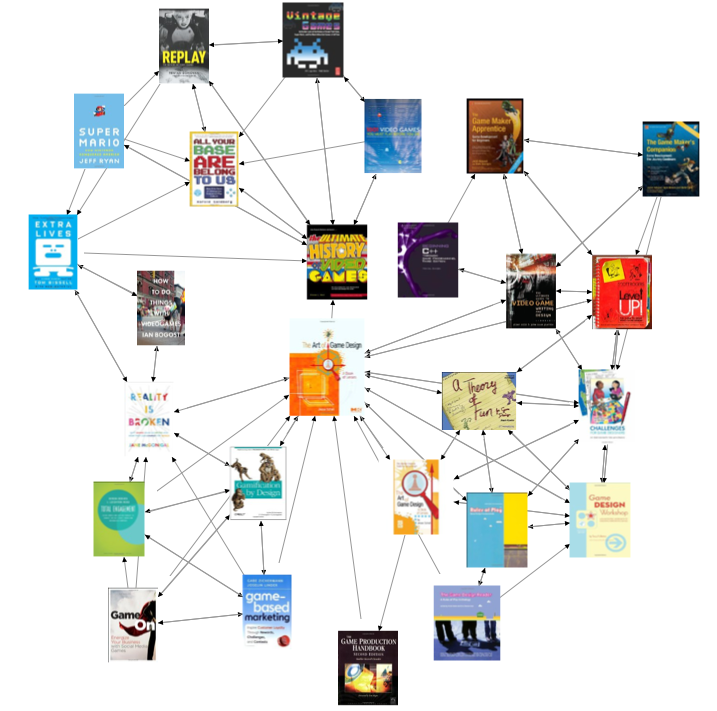 In this post I compare best books suggestions from experts and from Yasiv. Side by side, screenshot by screenshot, no prejudice. 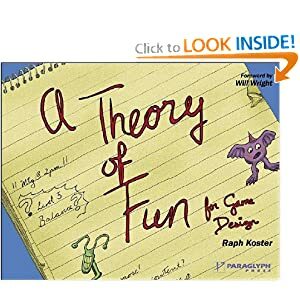 For the sake of experiment I decided to pick two areas: Usability and Game Design. They are close to my professional interests but you can easily do the same test for your own field. Five out of ten recommended books are on the graph plus several new good books released after Alexis's article. 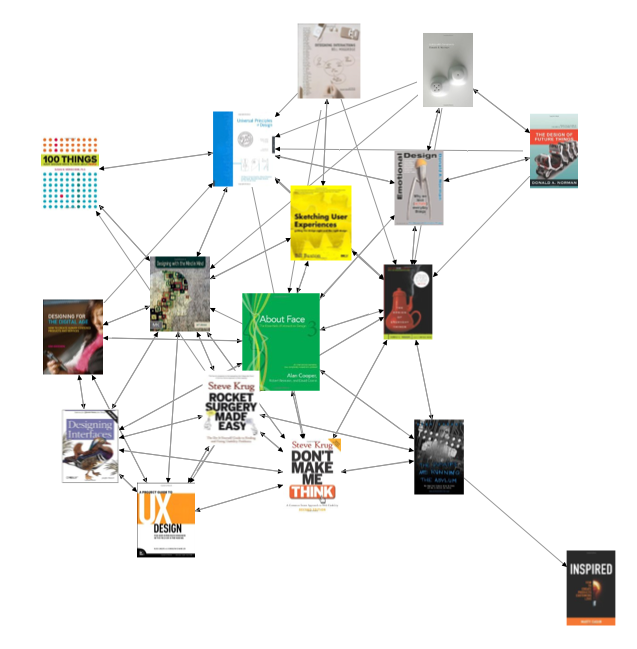 The number of connections between books in this category shows their relative popularity among readers. On the chart above, top 3 usability books are: About Face, The Design of Everyday Things and Designing with the Mind in Mind. 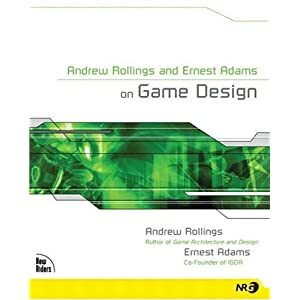 Let's move further to our next experiment and find best books in Game Design. 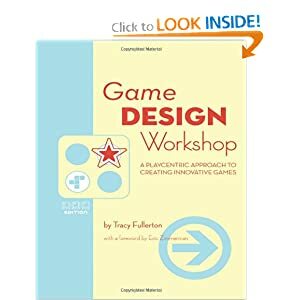 Are there any game design books that are not aimed at a particular programming language? Four out of six books are on the chart. 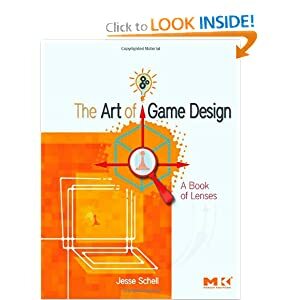 Top three most popular books in Game Design category are: The Art of Game Design, Challenges for Game Designers and Reality Is Broken. As I said in the previous post Amazon has tremendous database of customers preferences. 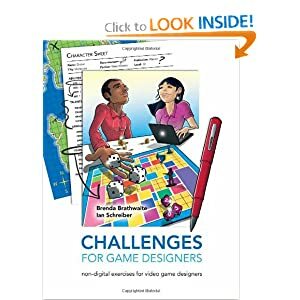 Sometimes it can work as a virtual expert and suggest excellent starting points. But for the new books it has to learn customers reactions. It means some time should pass before charts would properly reflect them. How long does it take Amazon to learn our habits? I don't know.